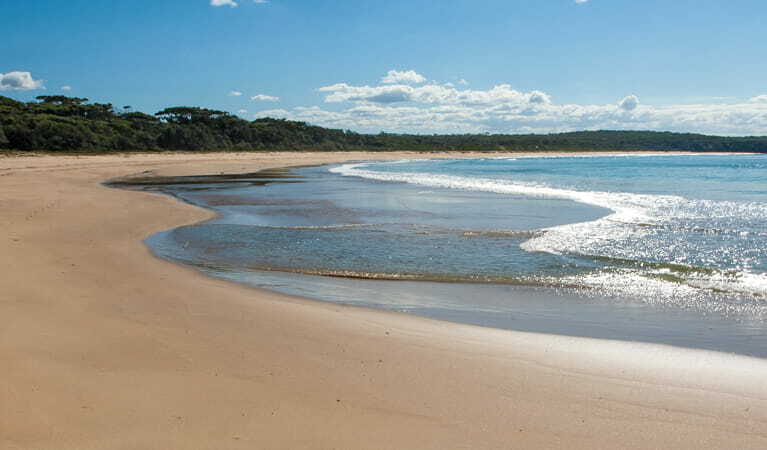 Meroo Head campground has beachside campsites, with opportunities for swimming, snorkelling, surfing, fishing, walking, mountain biking and whale watching. All campsites are suitable for tent camping, and are numbered with boundaries marked by logs and fences. Site sizes are variable but are generally 10m x 10m and have a maximum of 6 guests. There is no power in the campground. 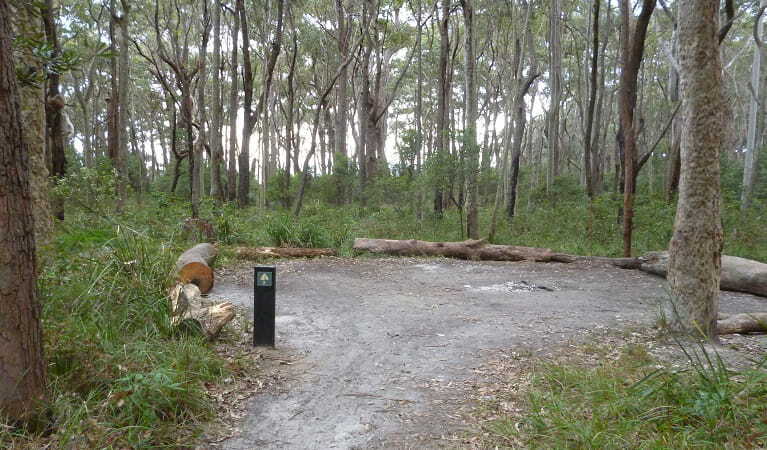 Meroo Head campground is a picturesque camping area, just moments from the beach. The unsealed road through the forest to get here also makes it a great mountain biking destination. Just a 150m walk from the campsite and you’ll step onto a beautiful sandy beach where you can enjoy swimming, snorkelling, surfing, fishing, beach walking and exploring the rock pools. 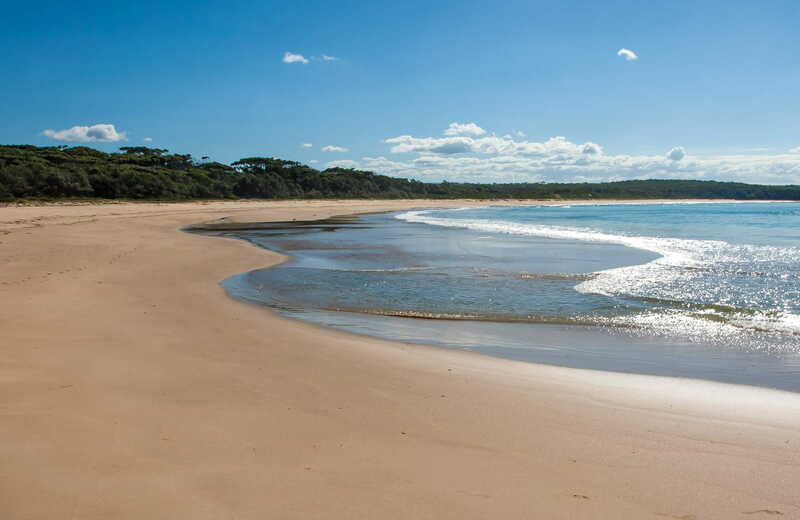 Go exploring around Meroo Lake or wander up to Meroo Head lookout for some amazing coastal views. It’s a great spot for birdwatching and whale watching and in spring the wildflowers are spectacular. You’ll see rare orchids and pink flowering blueberry ash with the towering eucalypts as a striking backdrop. Get cosy at night around the campfire and listen to the waves crashing nearby. Wake up to see the first rays of sunshine rise over the ocean, filling the sky with vibrant oranges and pinks then transforming it into a heavenly blue.